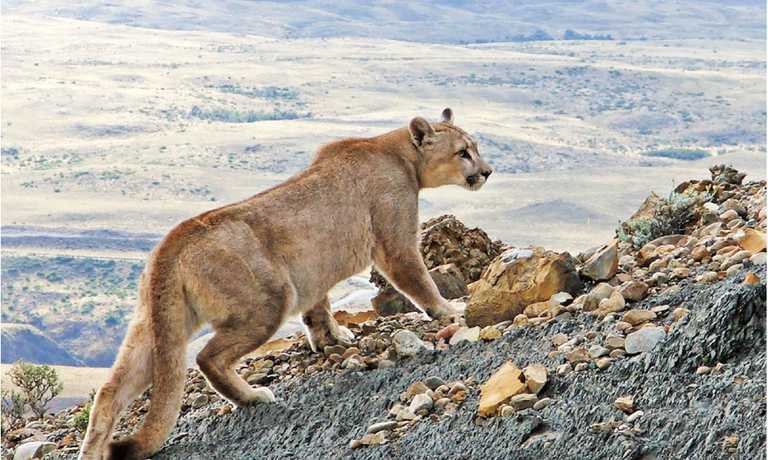 Professional trackers will search for the elusive puma so that you can, fingers crossed, get that perfect shot! Whilst they do, you'll be led by photographer Pia Vergara to the best photo-spots in Torres so that you can capture the magical scenery forever ...All whilst staying at the most luxurious hotel in the Park! Transfer from the airport in Punta Arenas (PUQ) to Tierra Patagonia. Check fixed schedules. Welcome cocktail and introduction to the Puma Team running the safari. Every time the sun rises and sets, Patagonia shows its colors. The first dawn will be at Lago Sarmiento, boasting the unique formations known as thrombolites, natural sculptures on the lakeshore. Following breakfast, the group heads out towards Laguna Amarga, passing through “Cañadon Macho”, an area with many guanacos. Next, the safari continues across the Patagonian pampa to reach Laguna Azul, with its woody shores and clear blue waters. From here there is an incredible view as the lake reflects the towers and the Paine massif. After a picnic lunch, participants will use their cameras to capture the great variety of birds and foxes on a hike around the lake. Return to the hotel in time to photograph the sunset. Watch dawn break over the mountains from Cerro Guido, one of the largest ranches in the area with major historical and cultural significance before returning to the hotel for breakfast. Next, hike to “Condoreras”, a cliff with an unbeatable view of Lago Sarmiento and an amazing lookout point for condors and eagles flying above. 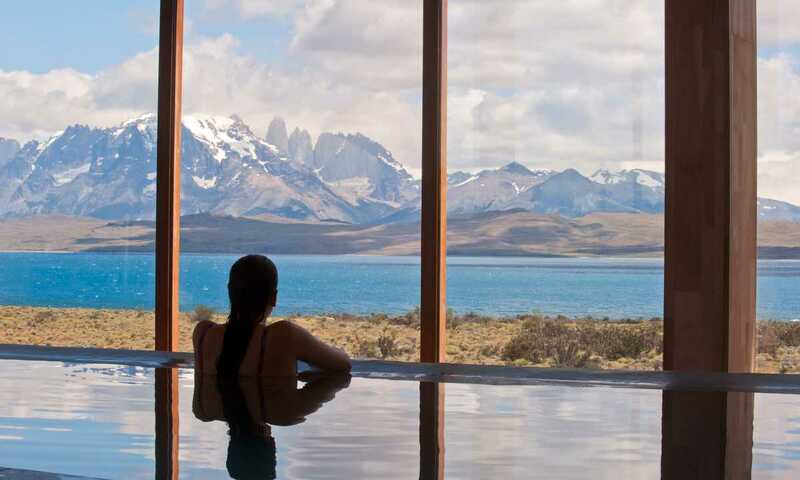 Following lunch at the hotel, head out to Laguna Verde and Estancia Lazo with wonderful views of the “Cuernos” or Horns of Paine. Walk through the Magellanic forest and enjoy this magical spot at the end of the world where there are opportunities to capture great shots of the sunset. Leave the hotel early to watch the sunrise on the shore of Lake Nordenskjold, a lake with unique colors and spectacular views of the Valle del Frances and the Paine massif. Enjoy breakfast in these other worldly surroundings before heading out on a hike to Lago Sarmiento. After a picnic lunch, the group will visit Lago Pehoe which offers the perfect setting to see the reflection of the Cuernos Del Paine in its crystal clear waters. See one of the most impressive waterfalls in Torres Del Paine at Salto Grande, where the power and force of water in Patagonia is clear. From here, a 2 hour hike towards the Paine Grande glacier and a wonderful view of the legendary horns or “Cuernos del Paine” from an ideal lookout point. Enjoy the sunset before returning to the hotel. Discover Grey Glacier and Grey Lake with its blue ice floating on the water and an extraordinary landscape. In the forest, search for huemules (native deer) woodpeckers and foxes before enjoying a picnic on the bank of Rio Pingo. After lunch sail among the ancient icebergs and across one of the largest reserves of fresh water in the world, Grey Lake. Back at the hotel, celebrate the last night with cocktails and an exhibition of the best photographic material obtained from the expedition as well as a slideshow of the trip for each participant. Transfer from Tierra Patagonia to the Punta Arenas airport (PUQ). 2015/16 Prices from USD $3,500 per person, based on 2 people sharing a standard double room in the all-inclusive luxuy hotel. A standard single room costs $4,800. Available from 1st September 2015 to 2nd May 2016 - please enquire for more details. Two half day excursions or one full day excursion daily with other guests. Use of Uma Spa, including pool, saunas and hydro massage (massages, spa treatments and therapies are available at an additional cost). Regular transfers included for all inclusive programs of three night minimum to and from Punta Arenas, Puerto Natales and Cerro Castillo. International regular transfer to and from El Calafate, Argentina, available subject to confirmation for all inclusive programs.